Evaluation of the human exposure risk to semivolatile organic compound (SVOC) levels in soil from automobile workshops in Awka was investigated. Soil samples were collected in both dry and rainy seasons. Solvent extraction of the soil samples was carried out using n-hexane: acetone mixture (1:1). Concentrations of SVOCs were determined using gas chromatography-mass spectrometry. There were higher concentrations of SVOCs in the dry season than in the rainy season. The concentrations of the SVOCs were compared with standards for industrial soils. Concentrations of pentachlorophenol in the samples for dry and rainy seasons were below the Canadian Council of Ministers of Environment (CCME) acceptable limit of 7.6 mg/kg. Eighty percent of soil samples for the dry season and all the soil samples for the rainy season had benzo(a)pyrene concentrations lower than the CCME acceptable limit of 0.7 mg/kg. However, incremental lifetime cancer risk (ILCRder) of PAHs and pentachlorophenol for dry seasons exceeded 1.0 × 10−6 WHO acceptable limit in all the sampling stations, which indicates potential risk via dermal contact. ILCRs of pentachlorophenol were above 1.0 × 10−6 in 60% of the samples for soil ingestion and all the samples for dermal contact. 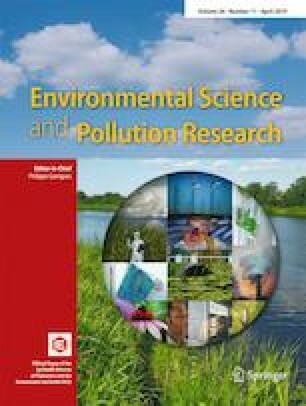 Hazard quotient of phenolics, phthalates, 1,3-dichlorobenzene and 1,4-dichlorobenzene for soil samples were less than 1 for both seasons, which indicates no non-cancer risk. Results suggest that the SVOCs were highest at the centre of the automobile workshop and the main route of exposure was dermal contact with the soil. NYS DOH (New York State Department of Health) (2007) Hopewell, precision area contamination: appendix C-NYS DOH, In: Procedure for evaluating potential health risks for contaminants of concern. https://www.health.ny.gov.